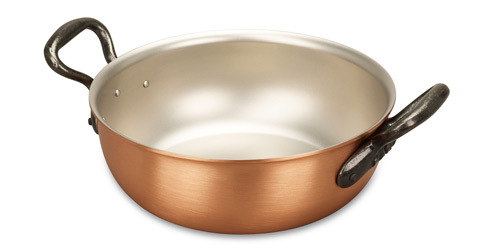 We know you'll love this	20cm copper stew pan	as much as we do. I love this product A versatile piece, great for scrambled eggs and custard on the hob or just about anything in the oven. Perfect for oven cooked vegetables. 1015 customers found this review helpful. Did you? Yes, I did! chicken soup is very delicious I first bought 20 stew pan and boiled soup every weekend. 20 stew pan is small compared with the size of other saucepan, but the pot thick. So the chicken soup is very delicious. I gave my sister presented to the same thing. My sister, a good cook, is too much like it. And my sister said, I want to have a larger size. 929 customers found this review helpful. Did you? Yes, I did!